UK is providing a further £5 million UK aid package for Dominica, the island worst hit by Hurricane Maria, Priti Patel announced during a visit to the region. The UK is providing a further £5 million UK aid package for Dominica, the island worst hit by Hurricane Maria, the International Development Secretary announced during a visit to the region today (Sunday 24 September). Hurricane Maria ripped through Dominica earlier this week, leaving 98% of buildings damaged and thousands without power. It was the first category five hurricane to hit the island in living memory, affecting almost the entire 70,000 population. The UK aid will provide immediate relief, including shelter, hygiene kits and cooking equipment, to the areas left devastated by the tropical storm. Ms Patel announced the fresh UK government support as she visited HMS Ocean, which on Friday delivered 60 tonnes of UK aid to the Caribbean, almost doubling the amount of aid in the region. Later today, she will spend time on the British Virgin Islands where she will see UK aid in action, meeting families whose lives were torn apart by Hurricane Irma, which struck earlier this month. She will also visit Anguilla to see UK efforts to get schools and businesses up and running to speed up recovery. The £5 million pledge brings the British Government’s financial support for islands hit by Hurricane Maria and Hurricane Irma to £62 million. 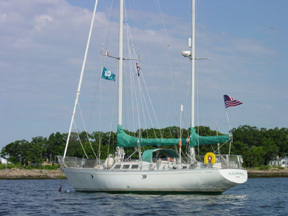 This has gone to islands including British Overseas Territories: British Virgin Islands, Anguilla and Turks and Caicos. The British Government is also doubling UK public donations made to the British Red Cross’ Irma and Maria appeals, a pledge which has so far raised over £2 million. The UK has pledged to give £5 million to the people of Dominica, the island worst hit by Hurricane Maria - on top of the £57 million already promised to the region - to strengthen recovery following these relentless disasters. I have come to the British Virgin Islands and Anguilla to see first-hand UK aid in action, helping families whose lives have been ripped apart first by Hurricane Irma and then Maria. The UK is leading the way in the relief effort, delivering emergency food, water and shelter to those who need it most. We will continue to clear up after this devastation in the weeks, months and years to come. The UK was one of the first to arrive in Dominica following the storm, with DFID field teams immediately bringing urgent medical supplies such as insulin and water purifiers. Much needed shelter has also arrived. The UK is working with the UN, Red Cross and other partners on the ground to distribute aid, including food, across Dominica. Alongside this, we are supporting the Pan American Health Organisation (PAHO) to provide emergency healthcare, safe water and sanitation, and manage disease outbreaks. UK aid will go directly on restoring health services and increasing access to healthcare in the most affected areas. This UK aid comes after the Prime Minister of Dominica formally requested international support to address the devastation caused by Hurricane Maria. 40 DFID aid experts are on the ground alongside over 2,000 military and 50 police officers and DFID has chartered a number of flights and vessels which will transport additional relief items when and where they are most needed. The DFID field team are also looking at long-term recovery on the islands, and rebuilding houses, hospitals and schools. During her visit, Ms Patel will meet Government representatives from the overseas territories to discuss how to build back better to make sure these islands have greater resilience to future storms. 40 tonnes of humanitarian aid has already been distributed across the Caribbean, including over four tonnes of food and water on the British Virgin Islands; 720 litres of water to the Turks and Caicos Islands; and over two tonnes of building materials to Anguilla. Work to prepare Anguilla for the impact of Hurricane Maria proved hugely successful in preventing further damage to infrastructure. Two tonnes of corrugated iron was provided to bolster hospital and police stations roofs. Food, tarpaulins, hygiene and shelter kits provided by DFID are also being distributed on the island by the Red Cross. 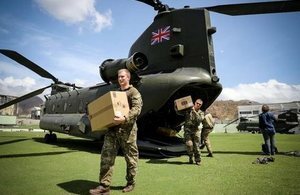 Vital supplies, including food, bottled water and shelters, were also distributed to the Turks and Caicos Islands earlier this week via three RAF flights and DFID field teams are urgently assessing the damage on the island. A DFID barge will soon arrive with supplies to restore power, including building materials, generators and equipment. A Foreign and Commonwealth Office (FCO) Rapid Deployment Team (RDT) has arrived in St Lucia to provide consular assistance to affected British nationals who have left Dominica by ferry. The FCO is also finalising plans for an RDT to travel to Dominica to provide consular assistance to affected British Nationals. · The £5 million is UK Overseas Development Assistance funding for immediate humanitarian needs and early recovery in Dominica. · This additional £5 million brings the total UK response to £62 million. On top of this, the British Government is matching public donations of up to £3 million to the British Red Cross’ appeals for Hurricane Irma and Maria. · Five DFID experts are currently on Dominica and are undertaking a rapid needs assessment to identify where aid will be delivered. · DFID’s initial assessment team has already moved essential supplies to the region ready to provide immediate assistance once we establish what is most needed. This is helping to restore vital communications and running water, and clearing roads. · Response efforts are being led by DFID experts on the ground, working with national authorities and the Caribbean Disaster Emergency Management Agency (CDEMA). · On Friday, HMS Ocean arrived with over 60 tonnes of UK aid on the British Virgin Islands to provide relief to the victims of both Hurricane Irma and Maria across the region. · The ship arrived with 5,000 hygiene kits, 10,000 water buckets and over 500,000 water purification tablets to provide more than 10 million litres of water, along with more troops to support our aid experts on the ground who are helping restore the lives of those who have lost everything. · This is on top of the 75 tonnes of DFID relief items that have arrived or been bought in the region, including food, water, nearly 3,000 shelter kits, 5,000 solar lanterns and 10,000 buckets. · An additional $19 million is being provided to Dominica by the Caribbean Catastrophe Risk Insurance Facility – which UK aid, along with others, helped to establish – and CCRIF has paid out $50.7 million in total in light of both Hurricane Irma and Hurricane Maria.